We met at bar in Brisbane on the dance floor. I wasn’t wearing my glasses, so Ashley thought I was staring at him. He came over to me and then we met a few weeks later after finding each other on Facebook. I thought he was a great dancer haha. I knew it was love when we started talking to each other more seriously, and then I realised that I wanted him to always be around. We were in Bali for our first time and after a day of relaxing and yummy cocktails, he asked if I wanted to go for a walk to a little island off Nusa Dua. It was a private moment with no one around when he got down on one knee and with the sea crashing in the background he proposed. It was very sweet. We held the wedding at Semara Uluwatu in Bali, a private villa complex. We held our ceremony at the Ambar Villa and the reception at Semara's Selatan Restaurant. I wanted a dress style that was all about femininity & flirtation. These are the preferred tools of seduction, and I embrace them equally. My wedding dress was silk crepe with flirty tulle and beads adorning the waist. For me it is timeless and transcends seasons. The design was by Justin Alexander. My bridesmaids wore light grey maxi dresses fit for the beach and outdoor ambience. For the bouquet, I had loosely hand tied flowers of blush hydrangeas and David Austin roses with a touch of ivory peonies, ideal for our relaxed outdoor ceremony. For the tablescape we wanted something chic, simple yet gorgeous. We chose very neat & structured centrepieces of roses and blush pink hydrangeas in shimmering gold vases and pretty gold wooden chairs to match. 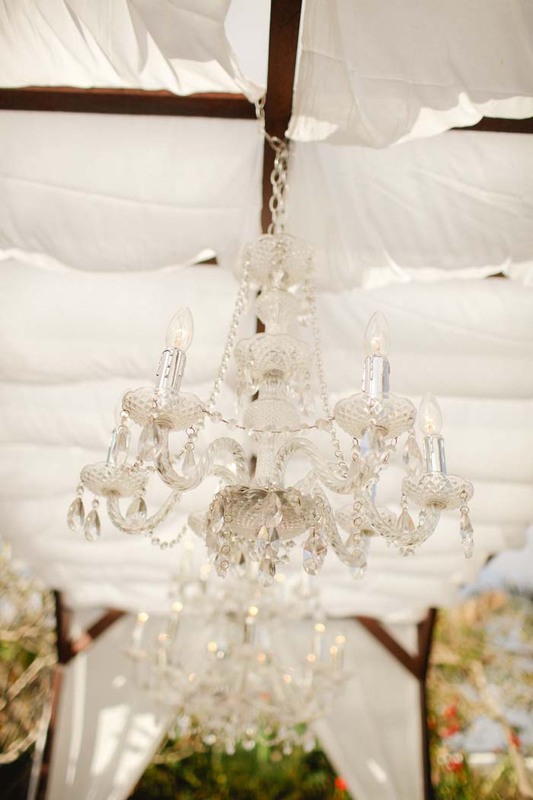 Our wedding planner, Libby also did a brilliant job covering the bridal table in layers of silk ivory fabrics and hanging crystal chandeliers. After the ceremony guests enjoyed the cliff top view and enjoyed the free flow canapés and cocktails. The reception was a sit down dinner with set menu. The wedding day was amazing, waking up to a beautiful view out of our villa. I was then treated to some pampering at the spa including a manicure and pedicure, which made me feel very relaxed. I have never been so nervous as it was leading up to walking down the aisle, but I loved every minute. The entire day was also very romantic and it felt like I was in a fairytale. The work everyone did setting up blew us all away, all the things that had taken months to plan were put together in two hours. Imaj Gallery, Libby (Our wedding planner) introduced us to Agung Mulyajaya from Imaj Gallery. I love his blog, the way he captures the emotion and styling details beautifully. His kind nature also made us feel comfortable during the day. Imaj Gallery did an incredible job to capture our moments so vividly and we can’t thank them enough. We continued exploring the island after the wedding day and enjoyed escaping just the two of us. I am so happy at this moment, excitedly waiting for our bundle of joy, due in August.